What is it? 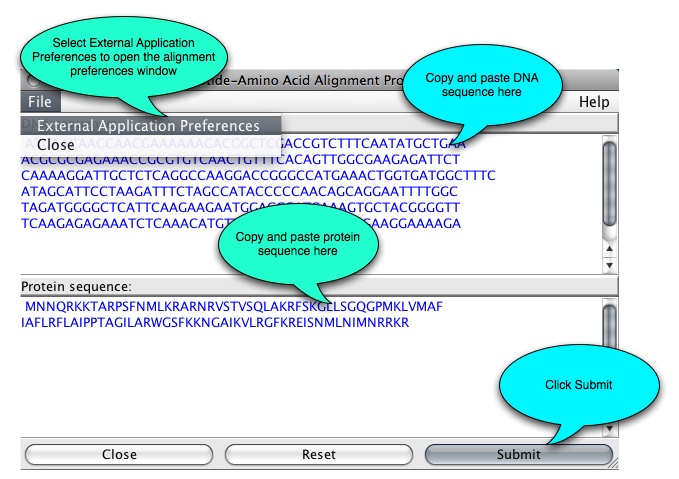 Nucleotide Amino Acid Alignment (NAP) is a Java interface to the nap C program. 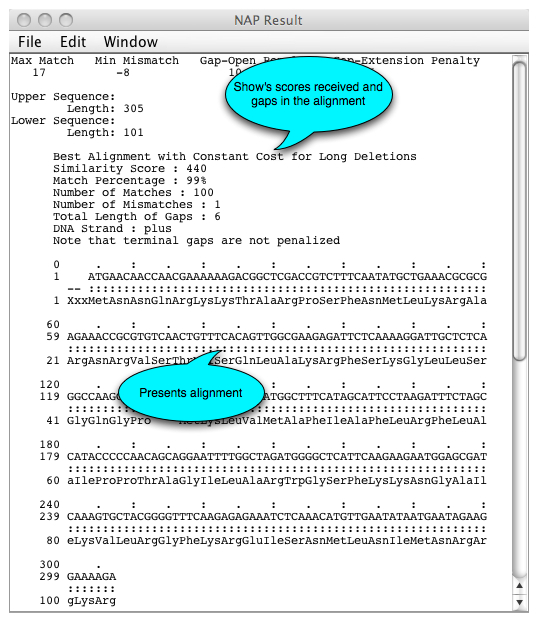 The NAP program computes an optimal global alignment of a DNA sequence and a protein sequence without penalizing terminal gaps. NAP handles frameshifts and long introns in the DNA sequence. It delivers the alignment in linear space, so long sequences can be aligned. The experimental results demonstrate that NAP is a sensitive and powerful tool for finding genes by DNA-protein sequence homology. How do I get started? NAP can be accessed for free at www.virology.ca. Select NAP from the VBRC Tools drop-down menu (top left of the page) or Click here to go directly to the NAP page. Click the Launch Program button. NAP will be downloaded to your computer and Java Web Start will automatically start the program.